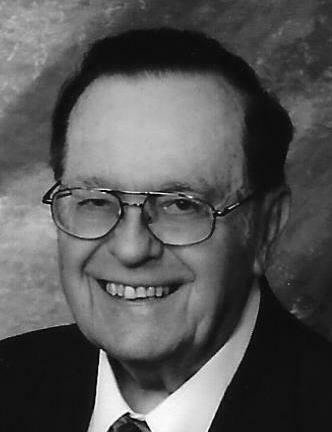 POWERS — Kenneth “Ken” Bellmore, 91, of Powers, passed away peacefully on Monday July 30, 2018, at Dickinson County Memorial Hospital in Iron Mountain, surrounded by his family. Ken was born on April 5, 1927, in Iron Mountain, son of the late John and Mabel Bellmore. He was married to Rita for 65 years. He loved to spend time with his family and his beloved friend Kay. Ken proudly served his country in the U.S. Army during World War II. He is survived by his wife; two children, Mabel and Mark (Doreen); one sister, Bev (Don); three brothers, Calvin, Wallace and Clarence (Esther); four grandchildren, J.J., Jolene, Kevin and Mike; as well as many nieces and nephews. Ken was preceded in death by his parents; and one brother, Marvin. Friends may call from noon to 2 p.m. Central time Thursday, Aug. 2 at St. John Neumann Church in Spalding. A Mass of Christian Burial will be celebrated at 2 p.m. Thursday at the church, with Fr. Jacek Wtyklo officiating. Burial will follow Mass in the Spalding Township Cemetery. A luncheon will be held in the church parish hall. The Allo Coolman Funeral Homes are assisting the Bellmore family.